Watch the New ‘Judge Dredd’ Trailer!!! We have the new trailer for ‘Dredd’ and it looks prettay prettay prettay good. “In a violent, futuristic city where the police have the authority to act as judge, jury and executioner, a cop teams with a trainee to take down a gang that deals the reality-altering drug, SLO-MO.” Thanks to G4’s Attack of the Show, the new ‘Dredd’ trailer just adds to the hype on how cool this movie is going to be. ENjoy. The film actually looks a lot like the recent action packed film ‘The Raid: Redemption’ in that Dredd and one of his partners enters a building full of bad guys and has to fight his way through to the boss. I can deal with that. Enjoy The Trailer For Disney’s Live-Action ‘Pete’s Dragon’!!! The ‘Pete’s Dragon’ Trailer is Magical! 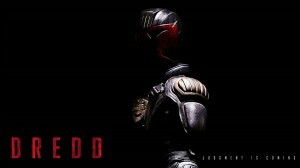 Will There Be More ‘Dredd’ For Fans? Karl Urban Hopes So!!! This entry was posted on Thursday, June 21st, 2012 at 2:09 pm	and is filed under Film, News. You can follow any responses to this entry through the RSS 2.0 feed. You can skip to the end and leave a response. Pinging is currently not allowed. « ‘Jurassic Park 4’ Hatches A Writer or Two!!! You'll have the chance to do something... something courageous. And when you do, you'll discover something. That you're a good man.